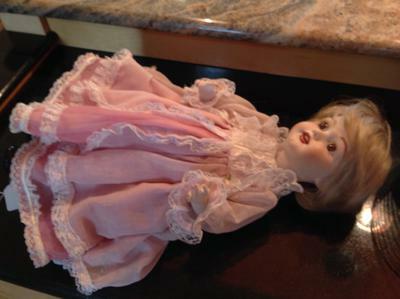 Trying to price donated doll for nonprofit resale shop. 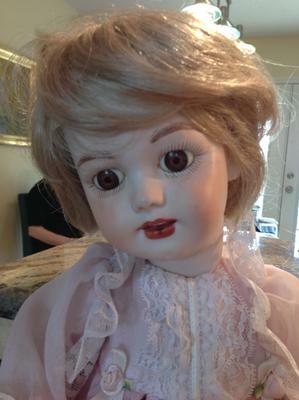 Not very familiar with vintage dolls so find marks confusing. What is she? Head and body of same material (bisque? 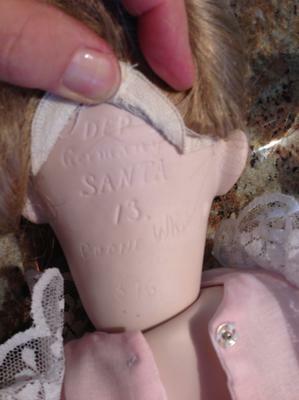 ), jointed arms and legs.. Markings DEP Santa 13. Boone white 376.